You only look and feel as good as your hair. That’s why inevitable bad hair days can be so detrimental to your confidence and make you want to stay in your house all day long. 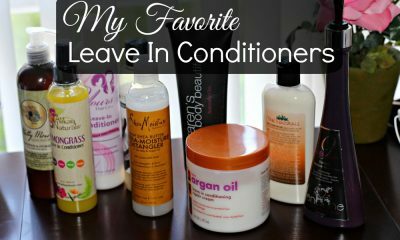 The conditioner you use is one of the most important parts of your hair care routine. The right, high-quality conditioner can have a transformative effect on how your hair looks and feels. Depending on your hair type and struggles, one of the best formulas on the market can be your instant solution for dull, dry, damaged, faded, or oxidized hair. Plus, top-notch conditioner saves you money in the long run by minimizing your need for frequent, expensive salon treatments. 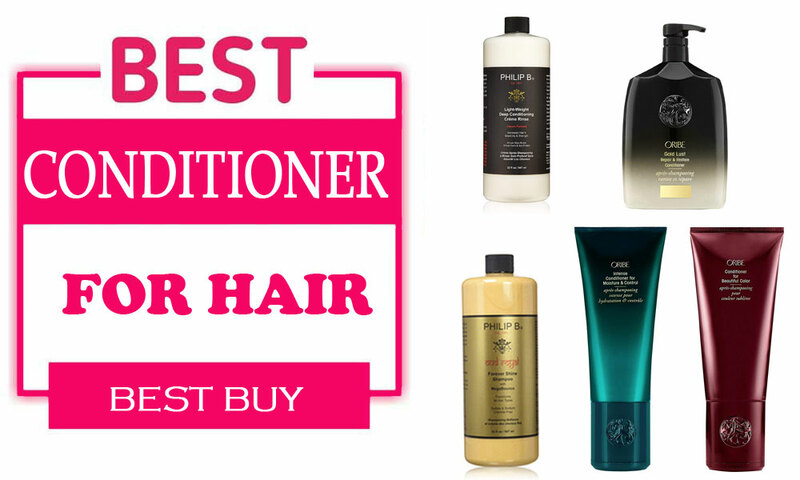 Browse through some of the best luxury hair conditioners to find a top-quality conditioner that provides a healthy quick fix for your personal hair woes. Get shampoo commercial-ready locks with this hair conditioner that is designed specifically to prep and perfect hair for the best look onscreen. If you’re looking for a multi-function conditioner, R+Co’s Television Perfect formula might be the one for you. Its infusion of natural extracts adds instant volume, shine, strength, and softness with just one application. L’Occitane Aromachologie Repairing Conditioner, 16.9 fl. oz. This luxury conditioner repairs and restores your hair with its active blend of powerful, sweet-smelling essential oils. Lavender, geranium, Angelica, ylang-ylang, patchouli, and almond oils nourish and hydrate your hair for added softness and shine. This conditioner’s formula also restores damaged capillary fibers in your hair to stimulate faster, stronger future growth. If your hair texture is medium to coarse, this nourishing conditioner can restore a soft finish to your locks without weighing them down. Infused with a special complex of natural oils, this luxurious formula repairs broken and damaged strands. In addition to strengthening your hair, the conditioner also provides deep moisture that hydrates your hair from the inside out while preserving its texture and volume. This conditioner from ORIBE is the best choice you can make for your color-treated or over-processed hair. In 2013 and 2015, the luxe hair conditioner earned the title of ‘best conditioner for color-treated hair’ from InStyle. Designed specifically to preserve and restore color-treated hair, this luxury conditioner includes an active blend of natural extracts and lightweight silicones. Its gentle formula reverses dryness and damage from chemical processing while preserving artificial color and protecting your hair against fading from UV damage even after you wash it out. Bleach blondes know that finding hair products to minimize brassiness without turning your hair gray can seem next to impossible. This gentle yet effective conditioner’s subtle violent pigment eliminate any yellow tones in your hair while preserving its bright blonde finish. This conditioner is gentle enough to become an addition to your daily hair care routine. In fact, daily use of this formula reverses damage from bleaching to soften your hair and prevent brittle strands. If you have gray hair–natural or dyed–this unique conditioner is made just for you. The special Silverati formula is restorative in more ways than one. First off, it restores the purity of your hair color by removing yellow tones and brightening gray and silver strands. Although it is designed specifically to bring life and elasticity back into brittle, aging hair, this conditioner effectively softens and hydrates your hair no matter how old you are. Best Conditioner for dry hair: As its title suggests, this ORIBE conditioner’s natural oil-infused formula offers intense moisture to yield instant, noticeable softness and hydration. It is the ideal choice for extremely dry, colored hair because its gentle color-safe formula won’t cause excess fading. This conditioner has a multi-function formula that doubles as a styling product. Massage a small amount into the bottom few inches of your hair to add a shiny, healthy finish to your ends. After you comb this luxurious deep conditioning rinse through your hair, it instantly creates a protein seal over your hair that provides strength, shine, and hydration that lasts through multiple shampoos. The main ingredient in this powerful conditioning rinse includes Shea butter, an ingredient renowned for its ultra-hydrating properties and protection against drying and damaging UV rays. Its lightweight formula also includes a host of pure plant and flower extracts. These natural ingredients instantly refresh and revitalize your hair while preserving its bounciness and volume. 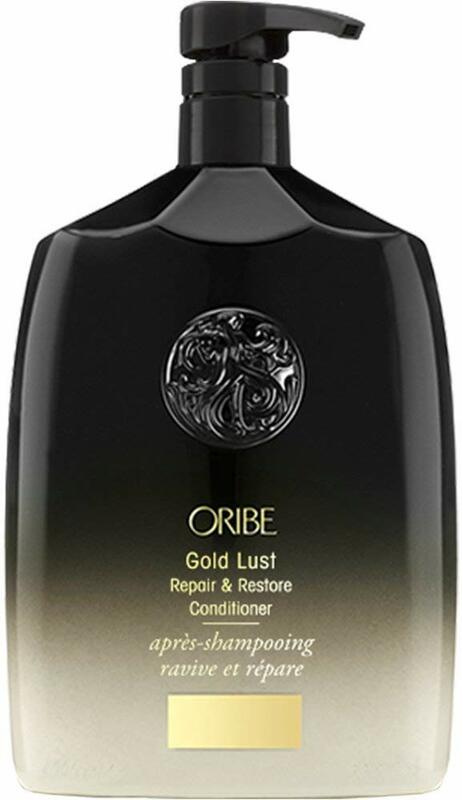 Restore your hair to its former glory and make it look better than ever before with ORIBE’s Gold Lust Repair and Restore Conditioner. 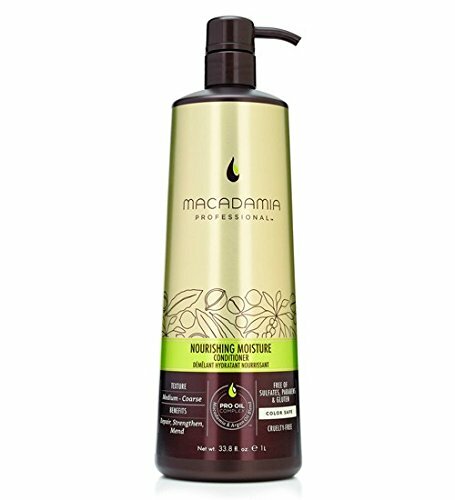 This restorative conditioner’s formula includes pure cypress, argan, and maracuja oils and extracts. These natural ingredients create an intensive blend that offers deep hydration and repair. Unlike many lower-quality restorative formulas, this conditioner is lightweight and won’t drag down your hair. Instead, it reverses damage from age and heat with intense moisture that leaves your locks soft and shiny with a youthful glow. Get unbelievably sleek, shiny locks with the Forever Shine Shampoo from PHILIP B. This luxury conditioner is infused with revolutionary high vapor energy-treated moisturizing botanical hydrators. Its unique formula dives deep into your hair to strengthen, revitalize, and add intense glossy shine. This conditioner is curly hair-friendly because its lightweight formula won’t weigh down your curls. Instead, it gently de-frizzes for a sleek finish that keeps the texture and bounce of your hair intact. Luxury conditioners give your hair the royal treatment it deserves. They repair, protect, and perfect to give your hair a refreshing, salon-quality treatment from the comfort of your own home. Any of the luxury hair conditioners in this guide can help you stave off devastating bad hair days while leaving you with healthy, beautiful hair as soon as you step out of the shower.